Bahria Town has announced to start construction work on Karachi Metro Bus Service from Bahria Town Karachi to Airport and Tower. This is the first time in history of Pakistan that a private real estate developer will take part in construction of public infrastructure and in national interest. 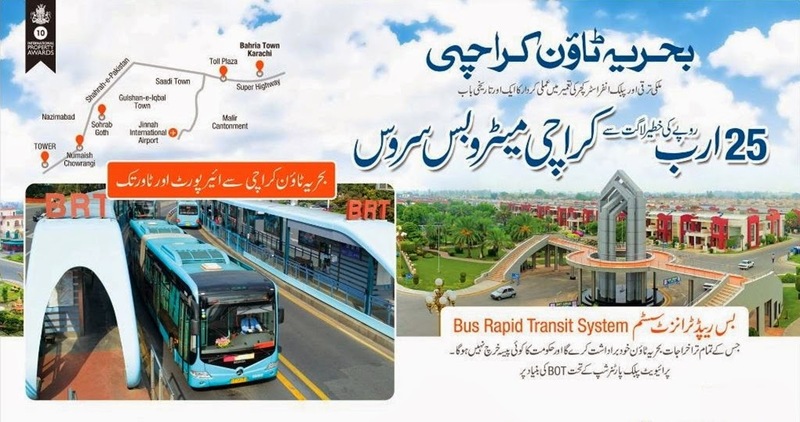 Bahria Town will develop Bus Rapid Transit System (BRT) in Karachi just like Rawalpindi Metro Bus Service and Lahore Metro Bus Service. 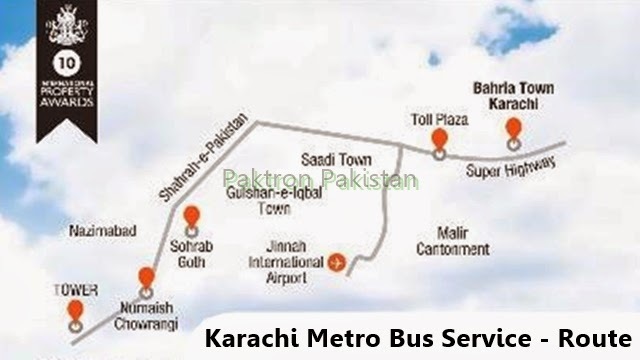 Bahria Town will invest on Karachi Metro Bus service according Public-Private-Partnership on the base of BOT. The estimated project cost is 25 Billion Pak Rupees. Bahria Town will bear the expenses of Karachi Metro Bus.